What Are the Issues & What Are the Practices? The past two decades have witnessed both tremendous change and tremendous growth in the financial sector in countries across the globe. At the same time, however, many countries in the world have experienced banking crises, sometimes leading to costly bank failures and overall disruption in economic activity. The changes in the banking landscape and banking crises have focused policy makers' and industry participants' attention on the appropriate role and structure of banking supervision and regulation. As countries make different choices in these regards, it is useful to inquire if there are fundamental principles countries can follow to insure financial system stability and growth. 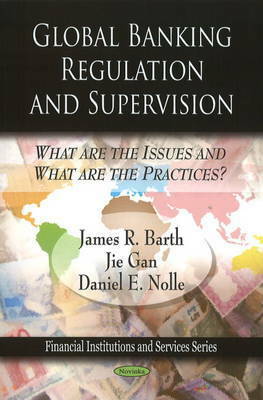 This book does not presume to outline such principles, but it does take two necessary steps in that direction: first, it identifies basic issues in banking regulation and supervision; and second, it presents information on how countries around the globe have addressed these issues in their bank regulatory and supervisory schemes. 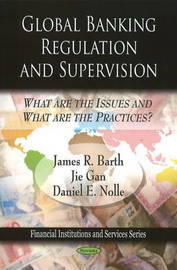 The study draws on recent research and detailed cross-country data, including data from a new World Bank survey of bank regulation and supervision world-wide, to focus on some of the underlying reasons for and implications of developments in a variety of areas. These include the following: the nature and changing role of banks in promoting economic growth, development and stability; restrictions on the scope of banking activities and allowable ownership arrangements in which to conduct them; the structure and scope of bank regulatory and supervisory schemes; supervisory practices to promote safe and sound banks; market discipline and corporate governance in banking; international co-operation in regulation and supervision; offshore banking; potential disputes in banking arising from World Trade Organization membership; and deposit insurance schemes.